Australia Post will be informing Contractors that it has changed its decision regarding Mail Contractor payment dates. Following persistent lobbying and representations by POAAL and many individual Contractors, AP will not make Contractor payments after the end of the month, as previously proposed. Instead, AP will apparently standardise all Contractor payments to a common date at the end of each month, starting with November 2007. POAAL wrote directly to Australia Post on this matter, as well as lobbying the Federal Minister for Communications, the Shadow Minister for Communications and the ACCC. Persistence pays off at times like these when the case is strong. 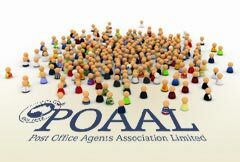 POAAL still hopes that AP will consult with Contractors’ peak organisation, POAAL, before making any future decisions that impact in such a direct and negative way upon their Contractors. Congratulations to all Contractors who took the time to lobby AP on this matter.